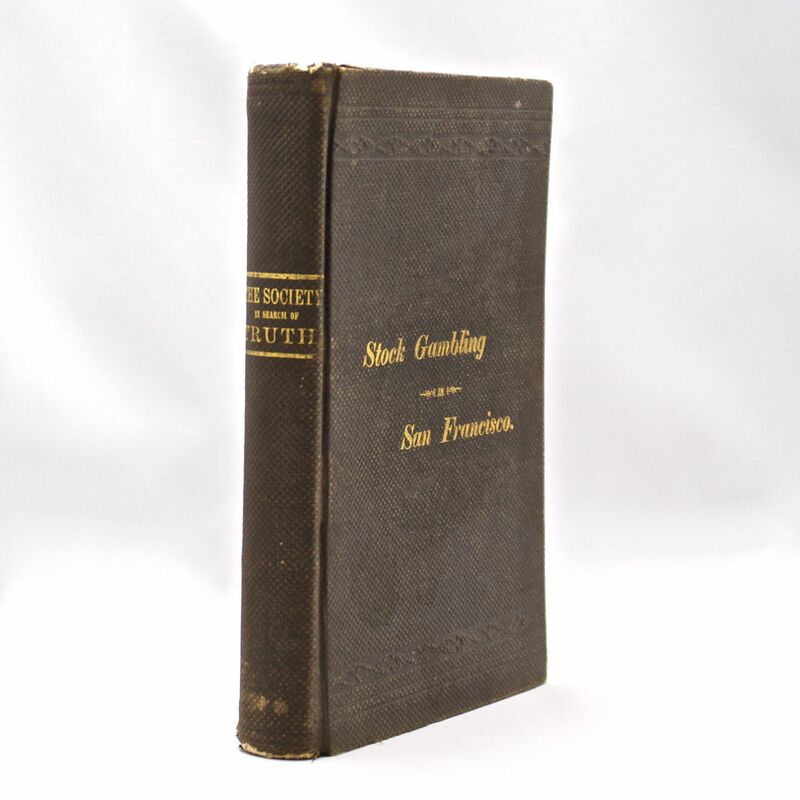 The Society in Search of Truth, or Stock Gambling in San Francisco - IFA Vintage and Current Book Library - Index Fund Advisors, Inc. Original dark brown cloth with the title in gilt on the cover and spine. Some overall wear, abrasions and rubbing, but a overall a good copy. The author who was a broker in the early gold rush days of California.